Long Iram is a calm village and peace. Here there are a number of omission buildings in colonial period. This village usually becomes perambulation end point Mahakam River. 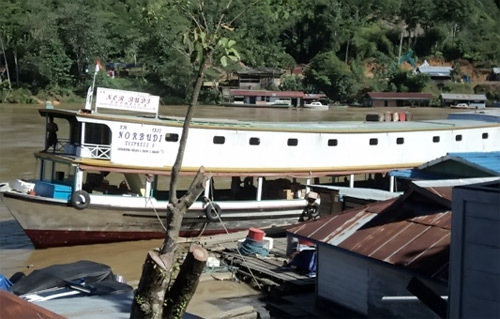 The journey farther upstream from this Long Iram has been difficult to be done by the river condition that is not enables to be passed by speedboat. But if the condition is enable farther upstream journey able to be done. Not far from Long Iram (3 Km) there is Gap Lake where you can explore the lake that become monkey habitat by rent some ships, which available. From Gap Lake journey can be continued to Tering - ama where there is a real impressing church.